I have vivid childhood memories of a tin box holding Grandad’s medals. I also recall some snippets of conversation when Grandad stayed with our family, although none related to his service in the Army. It is satisfying that numerous individuals are using similar stimuli to track down records of their parents or (great) grandparents; so the men who fought for the Country are not forgotten, one hundred years later. 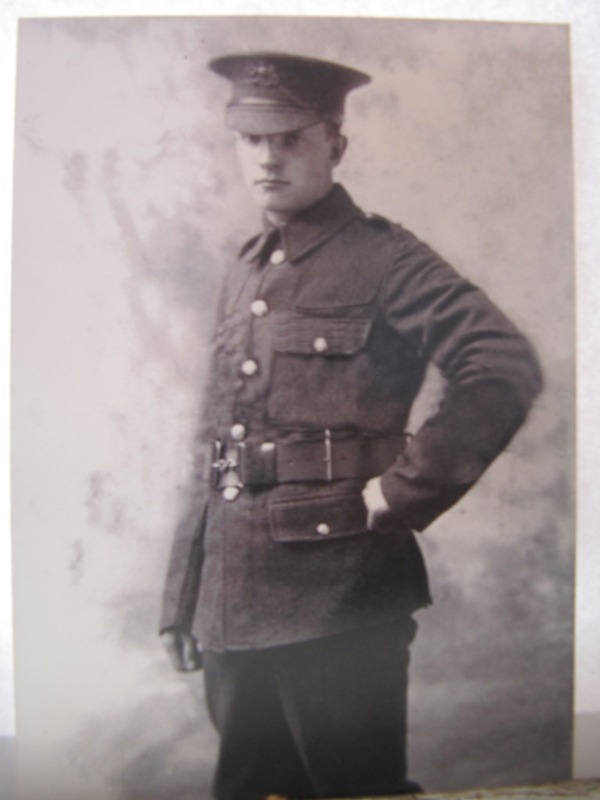 This is how I began my research into Allan Arthur Bell of the 17th Battalion Manchester Regiment – the 2nd Manchester Pals. This site illustrates the experience of one group of soldiers in a particular place and period of the Great War. 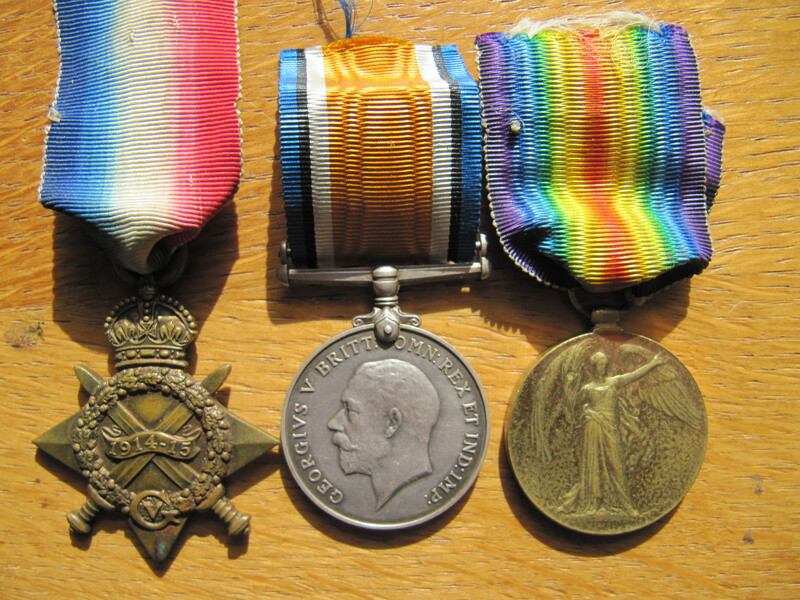 These represent just one sample of a military unit involved with the war, although their experience is consistent with many other combatants, particularly British and Commonwealth troops serving in France and Belgium on the Western Front. World War One arose from challenges for power and trade between different groups of countries. Hostilities were precipitated by the assassination of Archduke Franz Ferdinand of Austria. The conflict was centered in Europe between 28 July 1914 and the Armistice on 11 November 1918. It involved the world’s principal economic and political powers; assembled in two opposing alliances. The Allies included the Triple Entente of Great Britain and its Empire, France and Russia. Italy, Japan and (subsequent to the period covered by this site) the United States joined the Allies to create a truly global conflict. In opposition were the Central Powers, which was also formed from alliances between Germany, Austria-Hungary, the Ottoman Empire and Bulgaria. 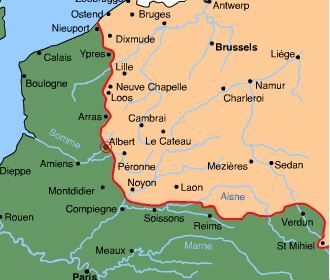 The war in Belgium and France was known as the Western Front. With notable battles including the British at Loos & Ypres and French at Verdun, the Western Front became something of a stalemate with two lines of well-defended opposing trench lines running from the Channel to Switzerland. The men of 17th Battalion Manchester Regiment arrived at the Western Front in autumn 1915 and remained there until the Armistice. The time period in this journal concerns the offensive the Allied offensive that took place in northern France in the summer and autumn of 1916. The area is north of a quiet meandering river with a name that is synonymous with the tumultuous destruction and death of a generation of young men from Great Britain and the Commonwealth – The Battle of the Somme. Through a vast array of records in Museums, books and website’s I pieced together a reasonable picture of Arthur Bell’s principal involvement in the Great War. I was also fortunate that Grandad is quoted in Martin Middlebrook’s principal book on the subject – The First Day on the Somme. This provided a fulcrum for my interest. After a number of visits to the Somme area of France, I have also seen the lie of the land in the area where he fought. Three generations of Arthur’s family spent a happy spell following in his footsteps ninety years after he walked up a hill in Picardy. The quote in ‘The First Day’ allowed us to find the exact place where Grandad had been all those years before us. This was when the enormity of the Battle of the Somme took hold for my father and me. It also appeared to be the conclusion of my research opportunities. Eight years later, I made a chance find of a recording of Grandad, held by the Imperial War Museum. After sharing this with family members, my cousin Roger provided detailed notes of Grandad’s recollections and another cousin, Paul provided some photographs. The combination of the new records and my earlier findings provides a detailed picture of one man’s involvement in the Battle of the Somme. I recognise great fortune that the recording and notes are available. We also count our blessings that Grandad survived for three generations to follow his steps. Many of Arthur Bell’s Pals were prevented from telling their tale; or having the opportunity for their Grandson to follow their story. As a result, this journal records Grandad’s immediate ‘Pals’ in III Platoon of 17th Battalion, along with those men who helped build the account. It had a leather frame inside, and was issued to all of us some weeks before the big advance on 1st July, 1916. “A few days after the initial advance I took my helmet to the Company QMS for renewal as it had a hole in it made by a bullet, which had caused it to roll up like the petal of a flower. “Yer wanna be more careful” said newly promoted ex-Sergt. McM (McMenemy); he had been a heroic figure in the advance on the first. “Only another rush or two” he called as we lay, much cut up, just outside the perimeter at Montauban –practically all our officers picked out by snipers. So on we went past the white flags, Jerry machine gunners and all. Anyhow, he gave me a new hat.